Joe Raedle/Getty ImagesA Lake Worth lifeguard wearing a protective mask walks along a deserted beach after Palm Beach County officials announced that all county beaches would closed due to red tide affecting coastal areas in Lake Worth, Florida. The beaches reopened as of Friday. The red tide, which consists of dangerous algae blooms, has been harming wildlife in the Gulf of Mexico for the past several months. It has now been reported near Miami, leading officials to close some beaches and test the water. Public beaches in Miami-Dade County reopened Friday, though the mayor said county and state agencies will continue to monitor the water. On Thursday, Florida Gov. Rick Scott announced $US3 million in aid to counties dealing with the red tide on the east coast. After plaguing the Gulf of Mexico for the past several months, a red tide of dangerous algae blooms has been spotted in waters near Miami. In addition to killing many kinds of marine life, the red tide can lead to respiratory issues among people, especially those who have asthma. Upcoming shellfish and fishing seasons, such as those for stone crab and sailfish, remain at risk as well. Water samples in Miami Beach and Crandon Park have had red tide algae in the “very low to low range,” CNN reported. Fish kills have been reported in St. Lucie County, according to CNN, and respiratory irritation from the algae has been reported in St. Lucie and Palm Beach counties. On Thursday, Florida Gov. Rick Scott announced $US3 million in support to Miami-Dade, Palm Beach, Broward, Martin, and St. Lucie counties to help with the red tide issue. 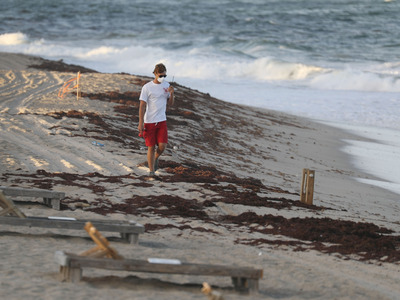 The governor previously declared a state of emergency in several counties on Florida’s western coast because of the red tide. There, the bloom washed up more than 2,000 tons of dead fish as of August, incurring cleanup costs of more than $US8 million. 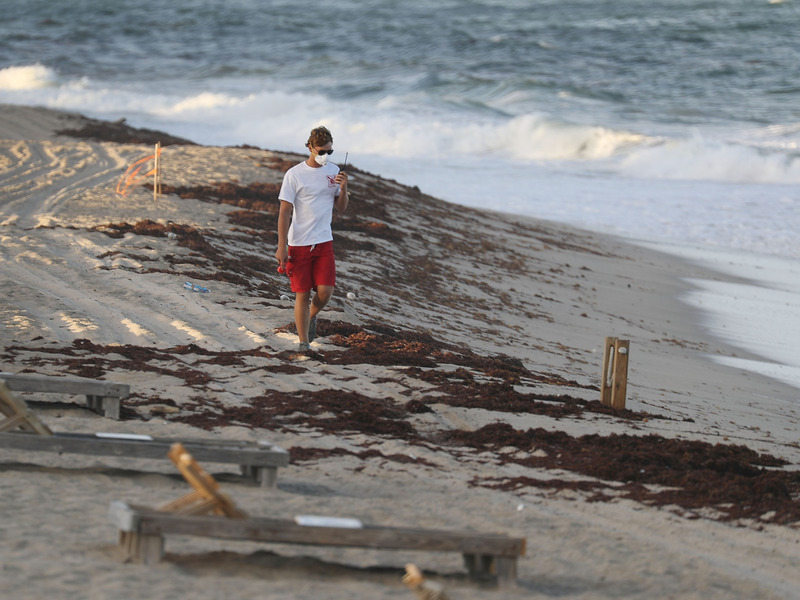 Carlos Gimenez, the mayor of Miami-Dade County, announced public beaches would reopen Friday after some were closed “in an abundance of caution.” The mayor reached his decision after speaking with state agencies that are already tackling the red tide on Florida’s western coast. County and state agencies will still pay close attention to the water at public beaches. According to a Palm Beach County statement, some fish kills have already been removed, and Parks & Recreation staff are spending Friday removing additional dead fish. National Oceanic and Atmospheric Administration oceanographer Richard Stumpf told CNN that he expects strong currents to make the ride tide bloom in Miami go away in the next few weeks.